The FY15 National Defense Authorization Bill requires Aegis Ashore in Poland to be operationally available by the end of 2016 instead of 2018, supporting the notion that missile defense will effectively compel Russia on geo-political issues. This belief is based on public statements Russia has made opposing U.S. missile defense, arguing it would upset strategic parity by reducing the effectiveness of their intercontinental ballistic missile (ICBM) fleet. The reality behind Russia’s opposition is that they view the U.S. as a foil to justify their investment in the Russian defense industry, which President Putin believes is key to ensuring Russia’s ability exert influence, strengthen the economy and mitigate the emigration of technological expertise. This vision is independent of the European Phased Adaptive Approach (EPAA), and the U.S. should not use precious taxpayer dollars to accelerate a program over a fallible pretense. Russian theatrics regarding missile defense and strategic parity fails simple numerical analysis. Even after New START Treaty levels are met, Russia could possess more than 1,500 nuclear warheads on top of approximately 330 ballistic missiles. When compared to the 44 Ground Based Interceptors (GBIs) currently planned, it follows that for every GBI that is launched, at least seven ICBMs will hit their target even in the most fortuitous of circumstances. Given that each ICBM normally carries multiple nuclear warheads, each with the destructive force of 50- 800 thousand tons of TNT, persistent radioactivity, and harmful electromagnetic effects, the Russians clearly retain the ability to strike large swaths of the U.S. with resounding force. Their ability to cause our destruction, and ultimately theirs, is not threatened. This disparity becomes greater when one considers that the U.S. must launch more than one GBI per ICBM during an attack. This is due to the uncertainty over GBI reliability, and the lack of sensors which can discriminate between a warhead and the debris from a destroyed missile. General Jacoby, U.S. Northern Command, testified to Congress that the U.S. is still working toward a “shoot-look-shoot” capability, which simply means the warfighter’s ultimate goal is to fire fewer GBIs for each ballistic missile threat to ensure its destruction. Until the Missile Defense Agency (MDA) obtains better sensors and greater GBI reliability, we will continue needing to fire more than one GBI per threat. The SM-3 interceptors, (which the FY15 Defense Budget would accelerate) are physically incapable of intercepting Russian ICBMs. Their numbers and geographic position also do not enhance their ability to do so. Consequently, accelerating their deployment would not affect Russia’s decision calculus any more than the recent decision to add 14 GBI. In fact it would help Putin justify greater spending on defense while negatively affecting U.S. missile defense by using defense dollars that the warfighter has stated is needed elsewhere. Gaining support of the populace includes disparaging U.S. missile defense as “anti-Russian”, and evoking resentment over Russia’s fall from prominence due in part to the Strategic Defense Initiative, the forbearer of U.S. missile defense. This narrative is consistent with Russia’s nationalistic sentiments behind the U.S. and Western opposition of Russia’s “good ol’ fashioned conquest” of the Crimean Peninsula for the sake of ethnic Russians, in order to prevent subversive Western takeover, while downplaying the economic and geographic gains that come with it. President Putin will continue to energize the defense industry because he is seeing a healthy return on his investment. Russian military expenditures have outpaced the U.S. in recent years, spending 4.5% of their GDP from 2009-2013. Undoubtedly part of this is due to intentional U.S. reductions including sequestration, but much of it has also been from increased foreign and domestic sales. Russian military exports earned a record $15 billion in 2012 and their defense industries employ 3 million people, providing 20% of Russia’s manufacturing jobs. With an approval rating of 80%, President Putin clearly has the popular support he was looking for, and rushing to place twenty-four SM-3s in Poland is not going to change that. 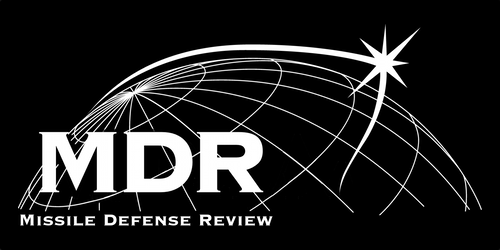 Adjustments to the pace at which the U.S. implements missile defense have been necessary in the past, but it was done as a direct response to a clear and imminent threat. During the Bush administration, the Welch Panel determined the need to accelerate the National Missile Defense “3+3” program, leading to the U.S. abrogation of the 1979 Anti-Ballistic Missile Treaty. This move was largely due to North Korea development of long-range ballistic missile technology sooner than predicted. A high-risk schedule was necessary to ensure the Ground Based Missile Defense System was able to defend against limited ballistic missile attack by North Korea or other rogue nation by 2005. However, as the MDA discovered through recent failures, the rapidly fielded GBI and CE-I and CE-II exo-atmospheric kill vehicles required retrofitting with engineering corrections to ensure their reliability. A similar urgency arose later in the program when the Obama administration acted on Secretary Gates’ recommendation to abandon the politically futile attempt to place GBI interceptors in Poland and the Czech Republic in order to respond to Iran’s higher-than-expected investment in short and medium range ballistic missiles. A GAO report found that as a result of rushing to implement the timeline for EPAA Phase 1, the military ran into cost inefficiencies associated with activating the AN/TPY-2 radar in Turkey which was designed to support the defense of Europe against Iran’s expanding ability to wage short and medium range ballistic missile attacks. In contrast to these events, there is no indication accelerating the EPAA will influence Russia in the manner which section 1641 of the FY15 defense authorization intends. Every indication suggests it would simply feed into the strategic message Russia wishes to convey to its populace. The U.S. will receive significantly more return on its investment if it continues its current plan of focusing on a steady test cadence, taking a “fly-before-you-buy” approach to mitigate retrofitting costs for GBI reliability, better integrate air and missile defense systems to include leveraging allies and partner nation assets and forces, and increasing the capacity and capability of short and medium range interceptors so they are more effective against existing threats, especially as they evolve in sophistication. These are the priorities which warfighters have requested, which the MDA is striving to deliver on through a deliberate strategy instead of what was described by the RAND Corporation as a “crash program mentality”. Missile defense is a long-term solution to cope with the enduring threat of ballistic missiles. Missile defense does not have the capacity to remove Russia’s motivation to seek military solutions to economic problems. Using missile defense as a political gambit to compel Russia is an ineffective use of taxpayer dollars and harmful to a deliberate and sustainable strategy that has steadily evolved since 1995. Duane Neal is a Lieutenant Commander in the U.S. Navy. His views are his own, and do not reflect those of the U.S. Defense Department or the Missile Defense Advocacy Alliance. This entry was posted in Aegis Ashore, Europe, European Phased Adaptive Approach, Ground Based Midcourse Defense System, International Relations and tagged ballistic missiles, Defense Secretary Robert Gates, GBI, George W. Bush, Government Accountability Office, Missile Defense Agency, Russia, Vladmir Putin. Bookmark the permalink.